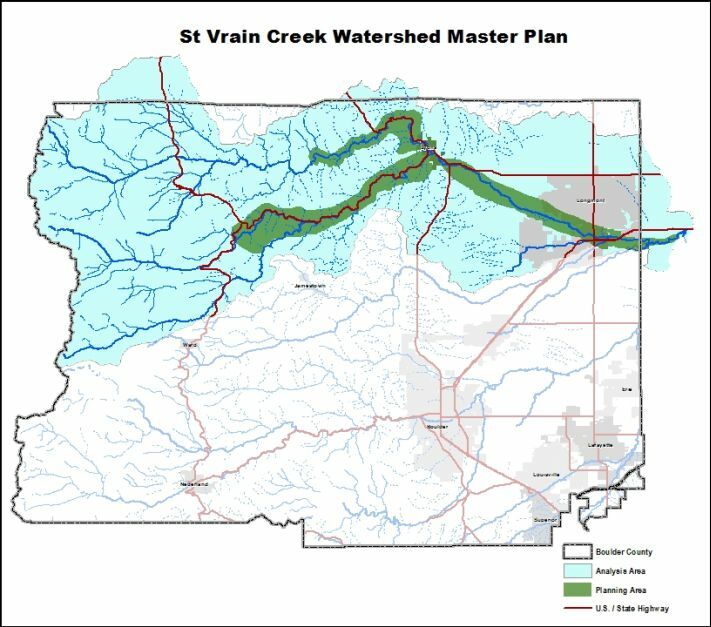 The St. Vrain Creek Watershed Master Plan is now complete. See the “Documents” tab to read the complete master plan. The St. Vrain Creek Coalition (SVCC) is operating the Watershed Coalition for St. Vrain Creek. SVCC will be sharing information about watershed recovery projects and other activities, identifying funding opportunities, and may be directly implementing projects of interest to landowners and county residents. Community outreach meetings were held after the 2013 Flood to gather input from land owners along St. Vrain Creek. See below for notes from these meetings.